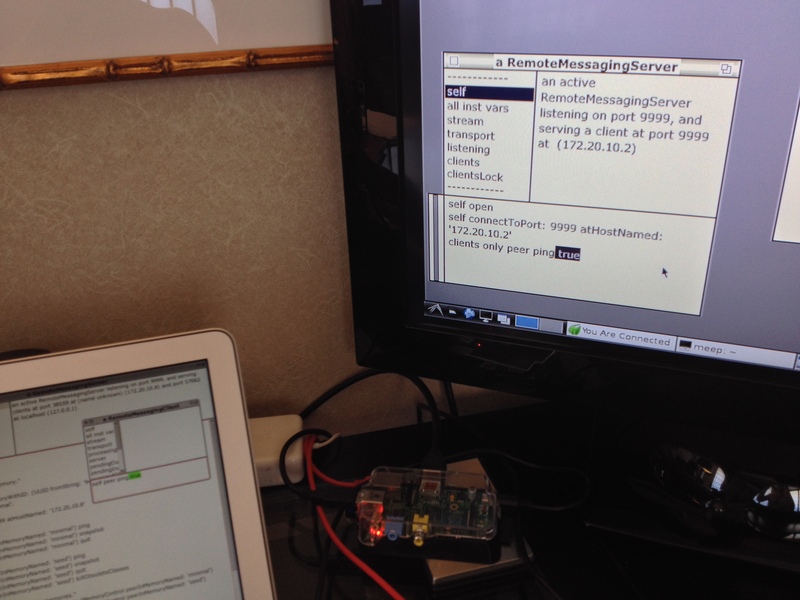 Spoon is up on the Raspberry Pi and exchanging remote messages with Spoon on my laptop. 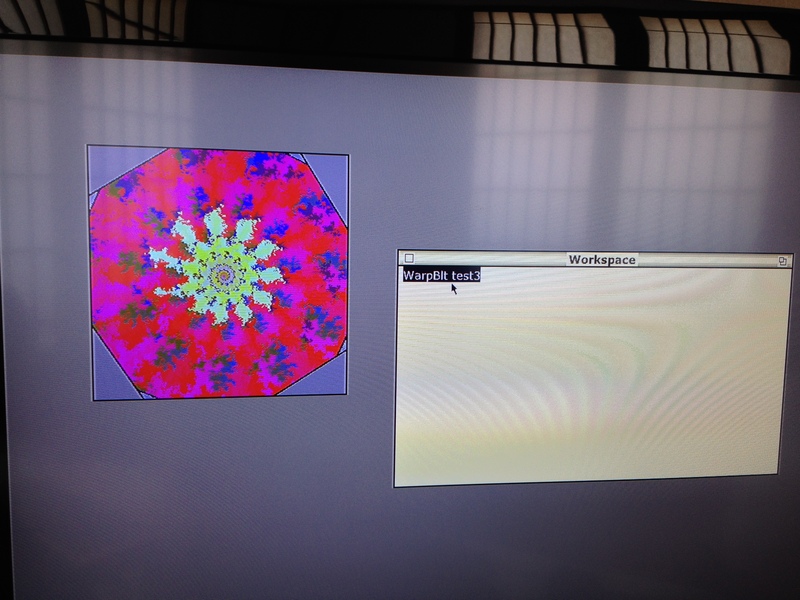 Morphic works, but it’s pretty slow, so I’ll be sticking with MVC for now (the Raspberry Pi is a 700MHz machine… I’m looking forward to Tim’s profiling work!). I’m writing a talk for FOSDEM in February called “A Spoonful of Raspberry Pi”. What should the Pi do? I’m eager to hear your suggestions!